Sterling Dental College launched it's new events season and to kick off we had Diana Read, Dental Liaison Manager from the DDU speaking about risk management and how to resolve complaints. Here is a summary of her talk. But what are the most common causes of complaints? How can I reduce the risk of a complaint? Communicating effectively is key! This includes fully explaining diagnoses, proposed treatment and any relevant risks to the patients in the way they understand. Written information is useful when appropriate e.g. post-operative instructions, treatment information etc. Every practice should have clear arrangements in place to provide leadership and a clear line of accountability for responding to complaint. There should be a complaints manager who is accessible to the public. The complaints procedure needs to be demonstrated to the primary care organisation if the practice holds an NHS contract. Mistakes happen occasionally but it's important to admit them straightaway and learn from them. If things don't go to plan, it's useful to have a practice adverse incident reporting system in place to allow for all the team to learn from others mistakes. If something does go wrong, make sure you explain it to the patient straight away, be ready to apologise if appropriate. These are vital for good patient care and can help in the event of complaint or claim. Ideally, notes should be made at the time of consultation or treatment. What happens if a patient complains? And remember, your defence society is always on the end of the phone! 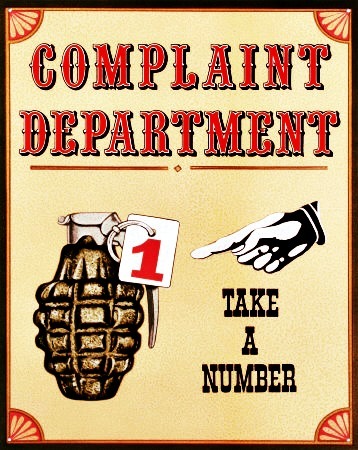 Let them help you manage the complaint and hopefully resolve the situation! Thanks to Diana and Sterling College for the event! There are lots more free CPD events coming up - see the Sterling College Facebook page for more information.